Legoland Florida Regular Gate Prices: 1-Day Admission Ticket for Legoland is $100.57 per adult (age 13-59), $95.22 per senior (age 60+) and per child (age 3-12), tax included. You can save $14.98 (tax included) off the gate prices of Legoland Florida tickets when you purchase them in advance online here. 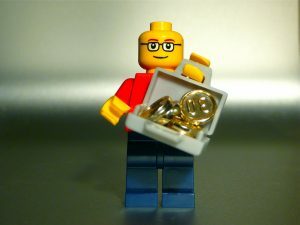 Sign up for the FREE monthly LEGO Club Magazine, and look for coupons for discounted admission. Costco members can sometimes purchase Legoland tickets at significant discounts, either in your local store or on Costco.com. Non-members can buy from the online site but pay a 5% surcharge. There is a shipping charge when ordering from Costco.com. Costcos in the eastern US is more likely to have tickets in the spring for Legoland Florida. On the west coast, they’re more likely to have tickets for Legoland California. Each AAA (Auto Club) region has a different ticket policy. Not all regions carry discounted Legoland Florida tickets; regions that do carry the tickets may offer various promotions, which will come and go. West coast clubs will be more likely to have Legoland California discounts. You can only purchase tickets online through your own local club. You can generally purchase in person at any AAA club location throughout the USA by showing your card, but you’ll want to make sure the club in question has tickets in stock. Auto Club South offers its members a discount on Legoland Florida admission when purchased in advance, either in person or online. Members from other regions may purchase these discounted tickets at an Auto Club South office, in person only. Note that it can take several days for Auto Club South tickets to be delivered via email – call ahead to check before you head to Orlando. Active military personnel is entitled to a FREE single day admission. Present valid military ID at the ticket window on the day you plan to visit to redeem your free admission ticket. Tickets can be pre-purchased at a greater discount at the ITT at your MWR office on base. One reader notes that if eligible military members go to their local ITR office or to Shades of Green, they can purchase 1- and 2-day tickets at significant discounts (40% or more). Any K-12 teacher in Florida can get a FREE annual pass by bringing their 1) most recent pay-stub, 2) Florida photo ID and 3) valid professional or temporary FDOE teaching certificate to the Ticketing windows at Legoland Florida. Be sure to read Legoland’s Florida Teacher Pass FAQ before heading to the park gates. Florida PTA members can get discounts on tickets to Legoland Florida. Get a 1-day adult Legoland Florida ticket for $37.45, tax included. Get a 1-day Legoland Florida + Water Park Combo ticket for $61.53, tax included. Purchase made in advance to get the discount. For more information or to use this discount, go to the Florida PTA Member Perks page. If you have an American Express card that earns Membership Rewards points, you can redeem those points for Legoland tickets. Buy one single day ticket get one free. A new offer from Legoland.com allows kids ages 3-12 entrance for free with a paid adult ticket ($96 – $126, depending on the resort). 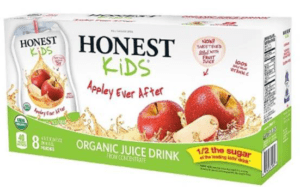 During 2018 (as of 02/12/2019 this is still working), get all the play for less pay at LEGOLAND Florida Resort, LEGOLAND California Resort, LEGOLAND Discovery Center and SEA LIFE® aquarium when you purchase Honest Kids® organic juice drinks. Valid for one free one-day child ticket with the purchase of a full-price one-day adult ticket to LEGOLAND California, LEGOLAND Florida, LEGOLAND Discovery Centers and SEA LIFE aquariums within the U.S. or Canada, as outlined below. Only one complimentary child ticket per Kids Go Free coupon. Offer can only be used either online or with original coupon at the attraction ticket windows. Offer cannot be applied to tickets purchased by phone, pre-purchased discounted tickets, or combined with any other discounts or offers. No photocopies, facsimiles, digital copies or mobile phone images will be accepted. Restrictions may apply. The right of final interpretation resides with the Merlin Entertainments Group. LEGOLAND California: Coupon good for one free one-day child hopper ticket with the purchase of a full-price one-day adult hopper ticket to LEGOLAND California and your choice of SEA LIFE or LEGOLAND Water Park. LEGOLAND Water Park is a seasonal attraction; please see the LEGOLAND California Resort Operating Days and Hours online. For LEGOLAND California, please note that prices will reflect full price until the discount code is applied at the end of the checkout process. Please be sure that both adult and child ticket are added to cart for discount code to apply. LEGOLAND Florida: Coupon good for one free one-day theme park-only child ticket when you purchase one full-priced adult ticket of the same type. LEGOLAND Discovery Centers: Free child ticket is available with the purchase of an adult standard admission ticket. Original coupon is valid at ticket booths only when walk-up tickets are available. Blackout dates may apply online and at the front gate. SEA LIFE: Free child ticket is available with the purchase of an adult standard admission ticket. Original coupon is valid at ticket booths only when walk-up tickets are available. Blackout dates may apply online and at the front gate.